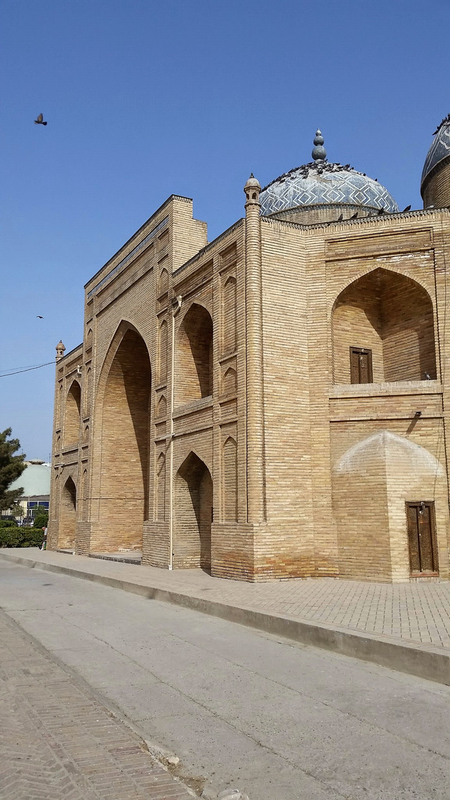 Before leaving Khujand I visited the modern mosque built during Soviet times. 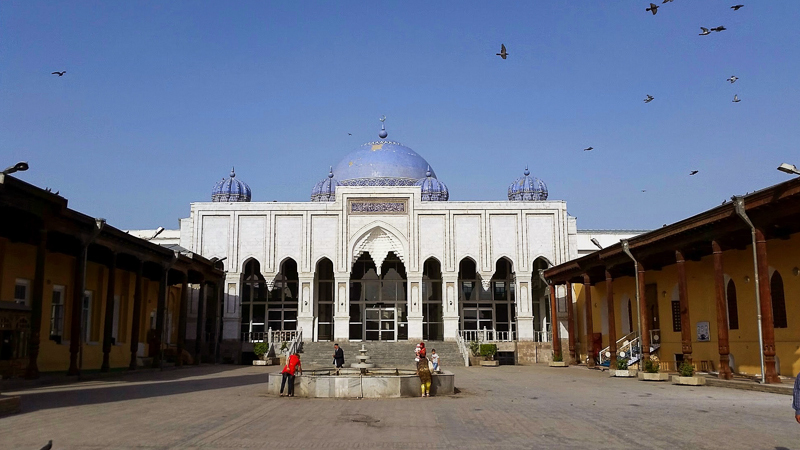 To the left of the Soviet mosque is a mosque and a mausoleum from 1394. Then there is a new mosque. 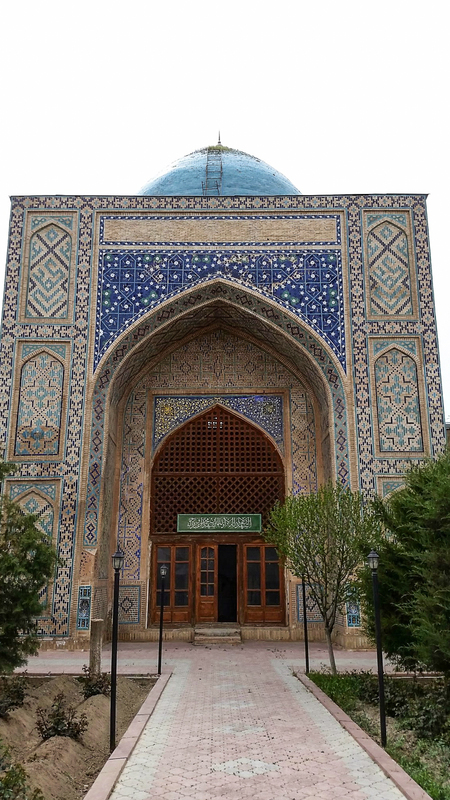 During the Soviet era Islam was suppressed however since independence 1380 mosques have been built through private donations. My guide said it is expected wealthy people build mosques and so they have. This outpouring of construction is a sign of the rapid rebirth of Islam. 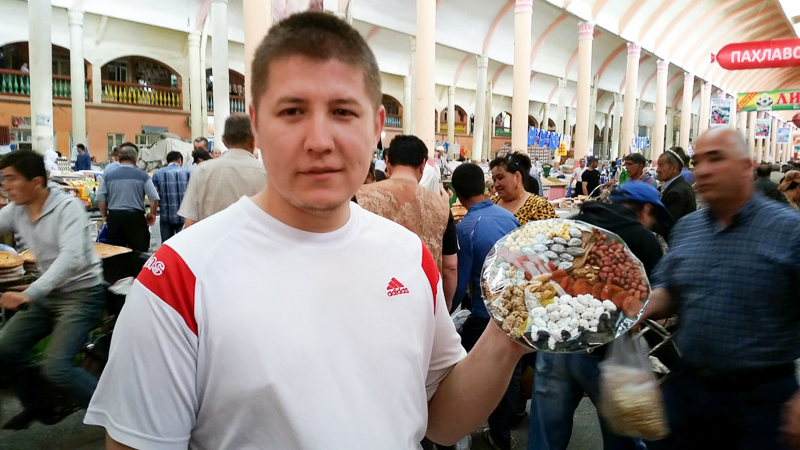 The early morning was spent in the Panchshanbe Bazaar which was by far the most animated thus far. Lots of smiles and welcome inviting me to sample food. And sample I did! The question: where you from? was like a litany. And when I said: “America” it was meet with a thumbs up and a smile. There were no shy folks but eager to have photos taken. You are made to feel so welcomed. On out way out of the city to the border we stopped by three monuments. The warrior Timur Malik who battled against the Mongol invasion. 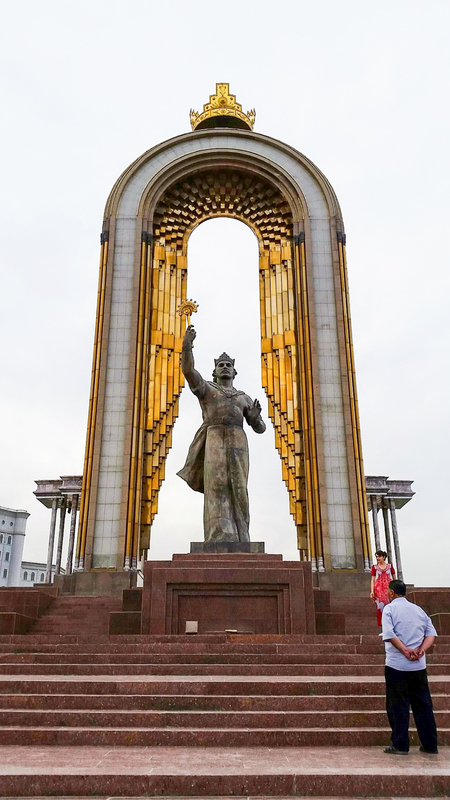 This monument replaced that of Lenin which was relocated. 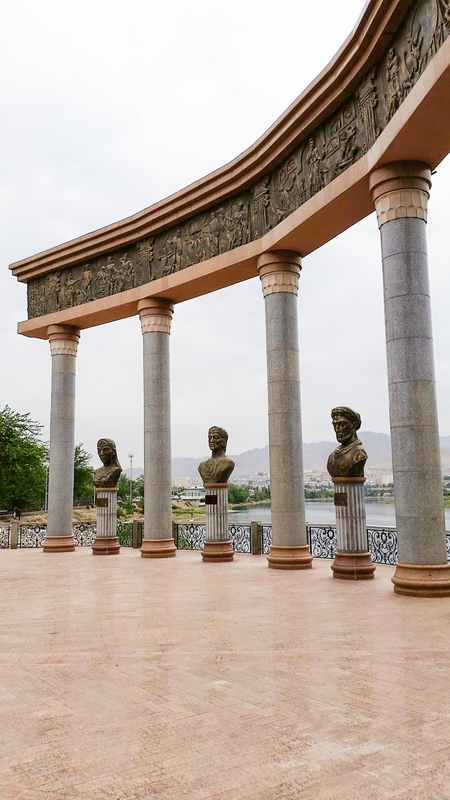 Then a monument that was dedicated to those Tajiks who lost their lives in the 10 year war from 1979 to 1989 when the pro-Soviet Afghan republic was threatened by the rebels. My guide pointed out that the US supported the rebel Mujahideen which after the war became the Taliban who were taught in the Saudi-backed madrassas. He said the Tajiks did not want to be involved in this Afghan civil war. Then they had to years later fight these same Islamic extremists who wanted to establish an Islamic republic. Then we saw the statue of Lenin that was relegated from prominence. 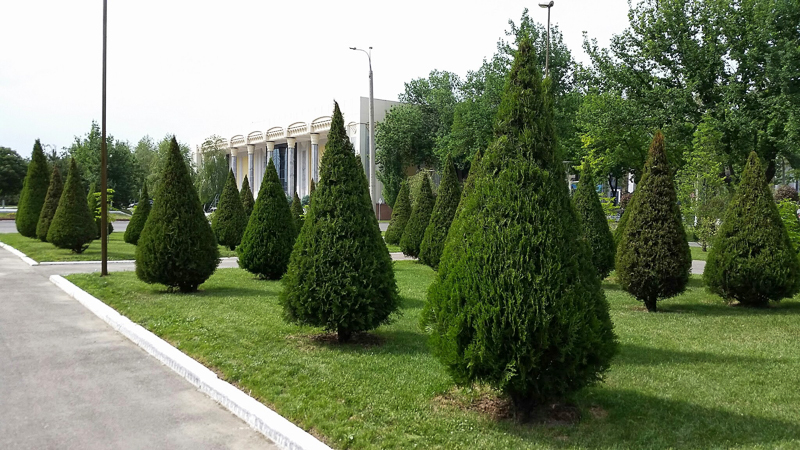 After the border crossing, I went to Tashkent. This city was a major intersection of the caravan routes. When imperial Russia arrived on the scene in the late 19th century they laid out a new city when they drained a swamp and established a new city they hoped would rival Saint Petersburg. The new city is impressive. The boulevards are wide and treelined. My guide also took me on the subway. 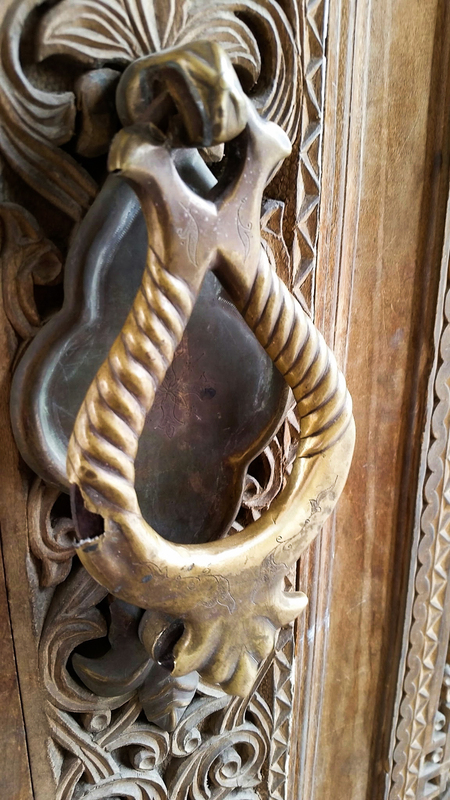 A travel companion remarked we were on TV to which the guide remarked the security is high. I noticed there are police all around in the metro. Ever since 1999 Islamic terrorists exploded car bombs. My tour guide said that they fear Islamic extremists so security is heavy. 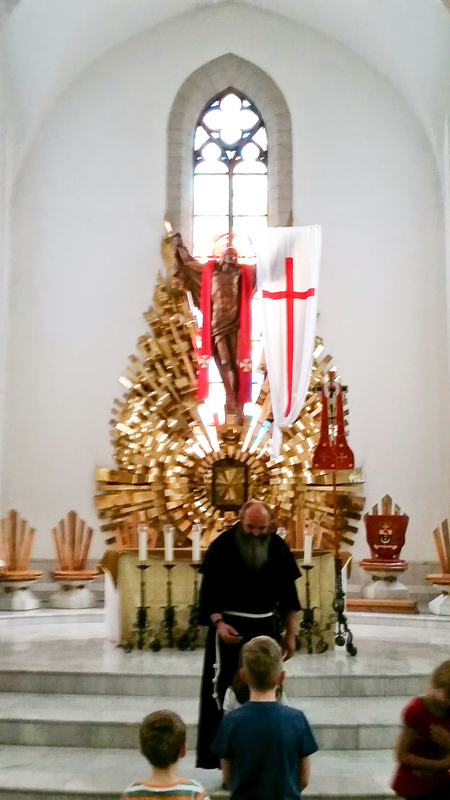 The day concluded with a tour of the synagogue, a Russian church, and the Catholic church. Walking around the city you get the feel of a modern European city. ALthough it is predominately Muslim everyone dresses in western dress. Tomorrow I will explore the old city. 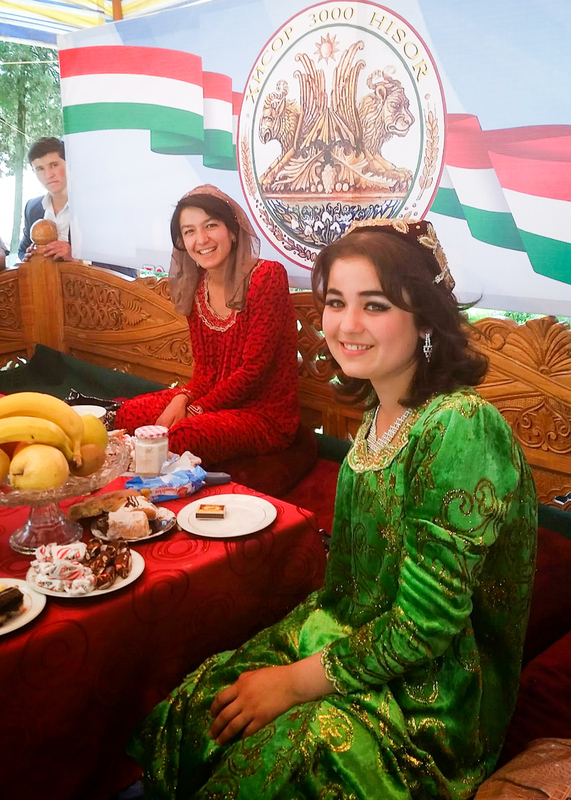 When people heard I was going to central Asia there was concern for my safety since I would be so close to the Afghan border. I have felt perfectly safe and have been made to feel at home by the warm welcome I received wherever I have been so far. 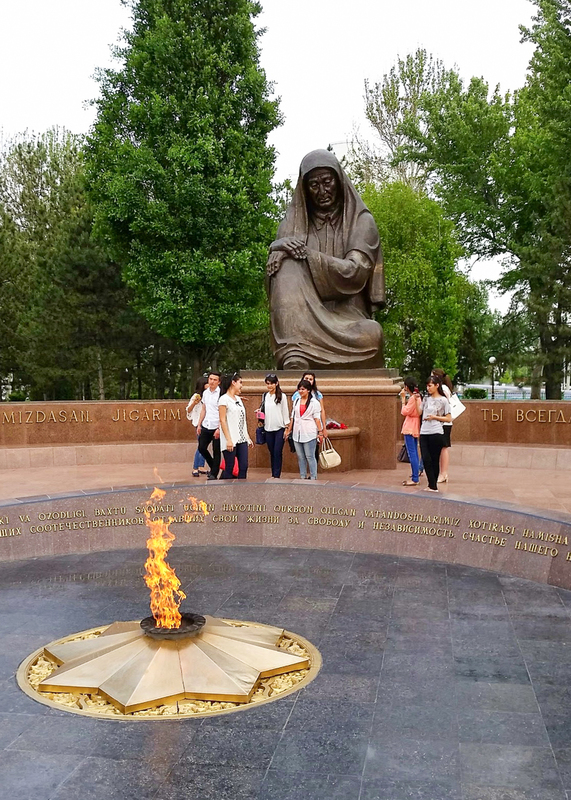 This entry was posted in Silk Road, Travel and tagged Islam, Soviet, Tajikistan, Uzbekistan on May 10, 2015 by frjfkauffmann. 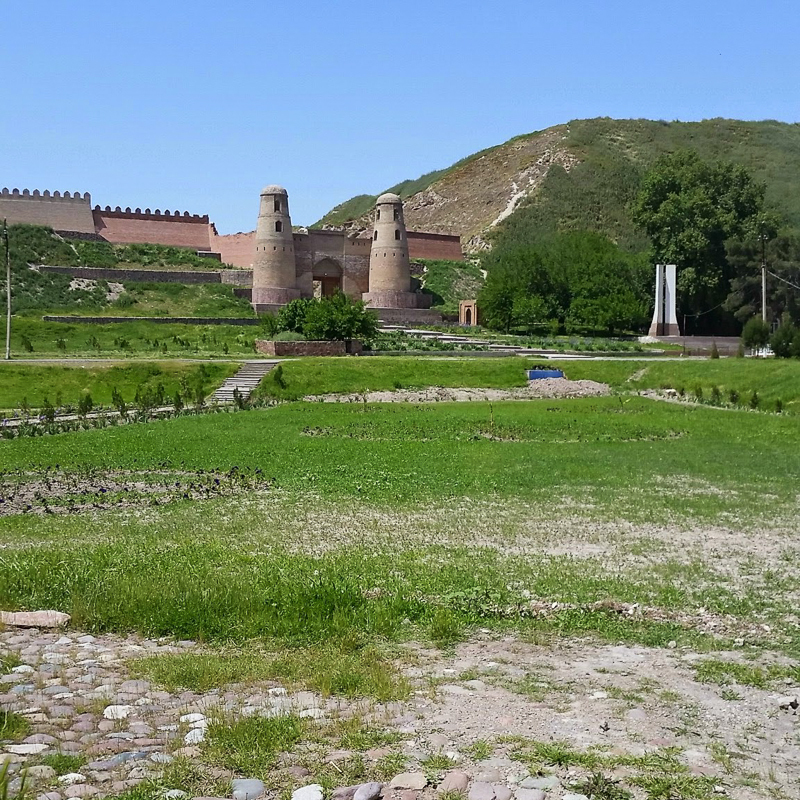 This morning we left early for Khujand which is one of the oldest cities on the river Syr Darya built by Alexander the Great. The drive is spectacular. We reach a height of 8500 feet. 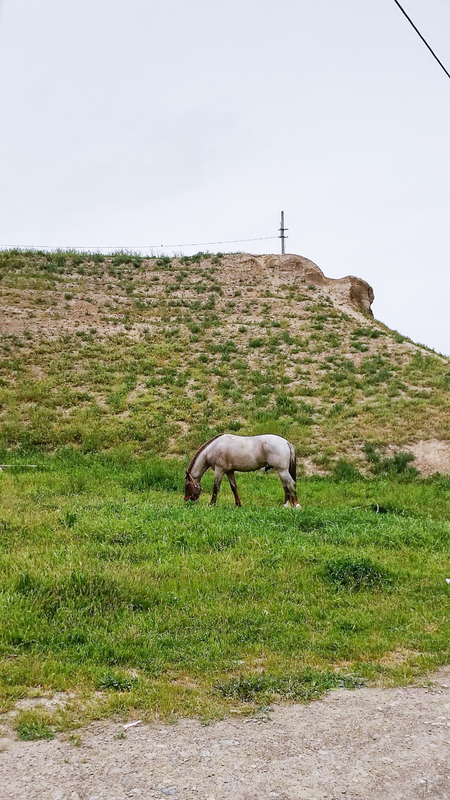 As we continued to climb I was in awe in that the Chinese needed horses from the Fergana Valley and in those days the caravans of horses had to go through two mountain passes to get from Fergana to Hissar and from there on to China. The passes are closed in winter due to snow and it is ever present as you can see. This drive today made me realize how rugged this segment of the Silk Road was in those days. 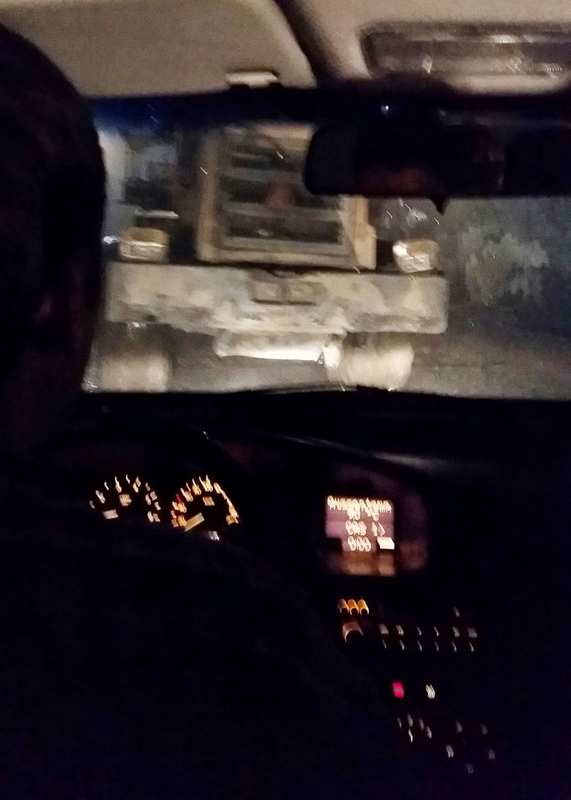 We then entered a tunnel 5 kilometers long that goes under a glacier. 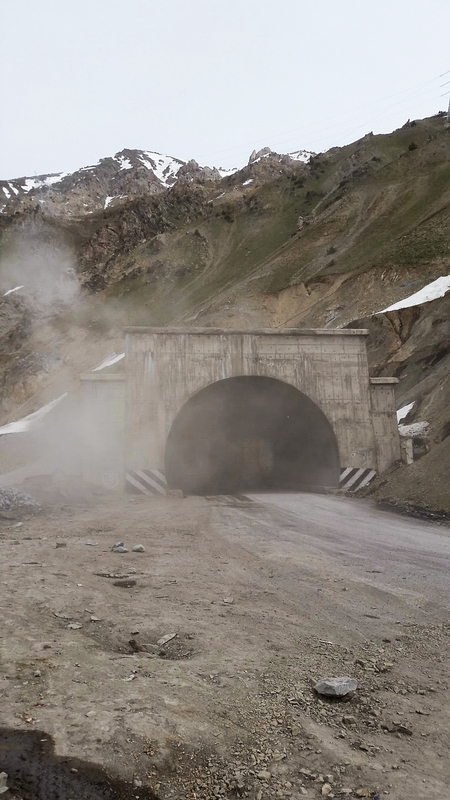 As you can see the tunnel is an active construction site with the road unpaved. This was a first for me. This is a Chinese construction project. 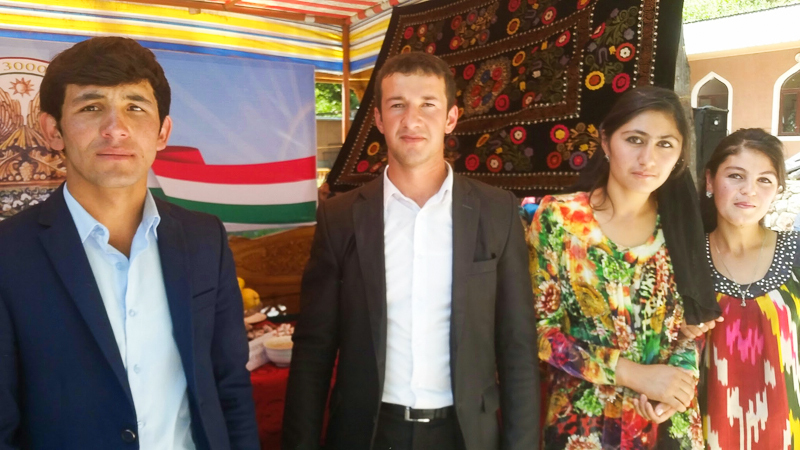 My guide said that the economic sanctions against Russia have cut down the construction industry that employed many Tajiks so they could sent money home. It seems that this is a great opportunity for the development of Chinese business to not only help improve the infrastructure but also to make further investment. As he indicated unintended consequences offer new opportunities. The villages at this elevation are very rustic as seen by this bridge. We stopped with great frequency for photo opportunities. 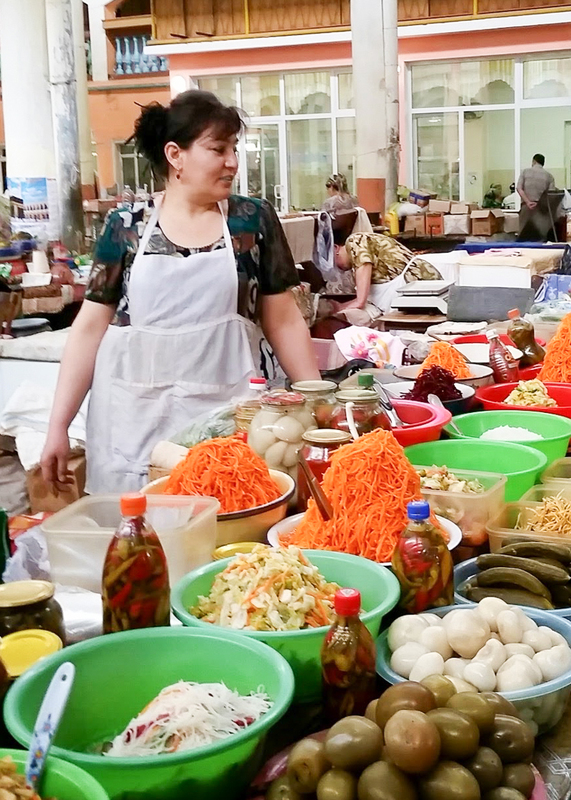 And of course an open air market with fresh local produce. In the tunnel there were many trucks. My guide ssid they are the modern caravan from China bringing in goods. Except for local produce all the goods in the market are Chinese. 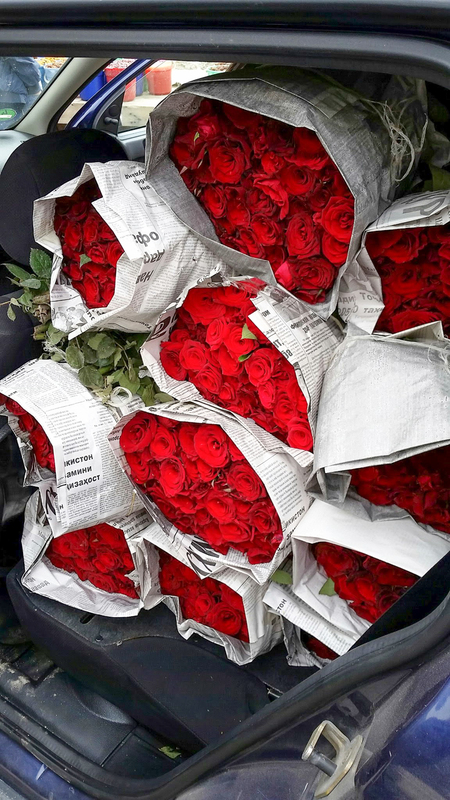 I was very struck by a car full of roses being transported over the mountains for sale. The roses are local not Chinese. 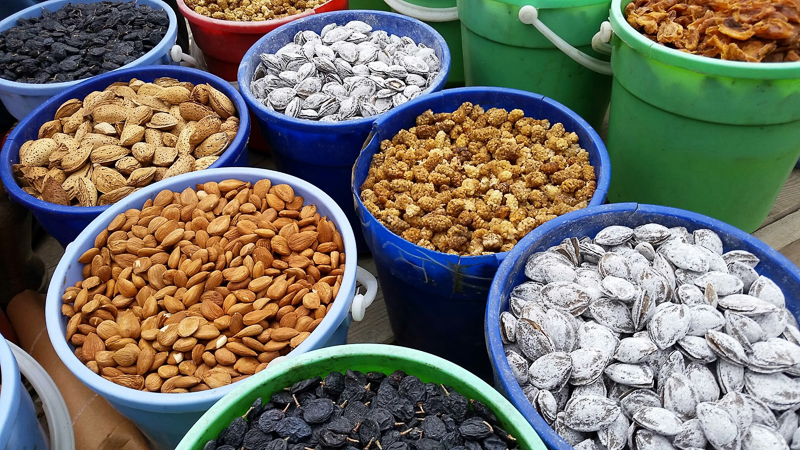 The country is rich in silver and gold and minerals and the Chinese are assisting in the development however one big resource they have is water. Once again there is a joint effort to develop a hydroelectrical plant that would generate income. 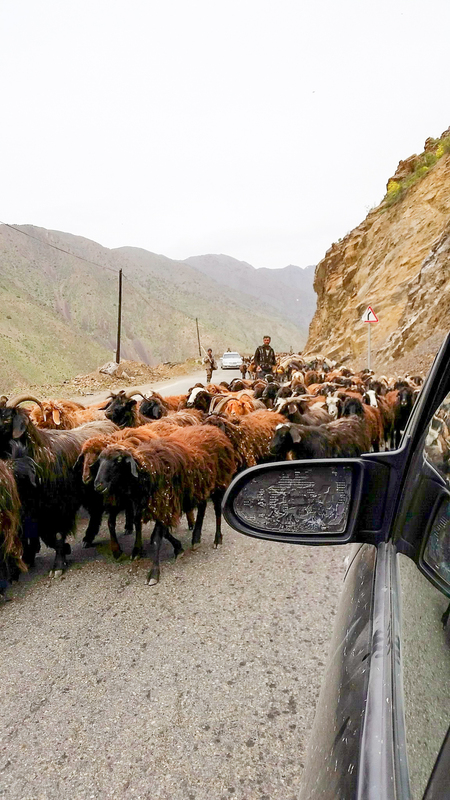 When the sheep appeared on the road there was immediate excitement and scrambling for cameras. 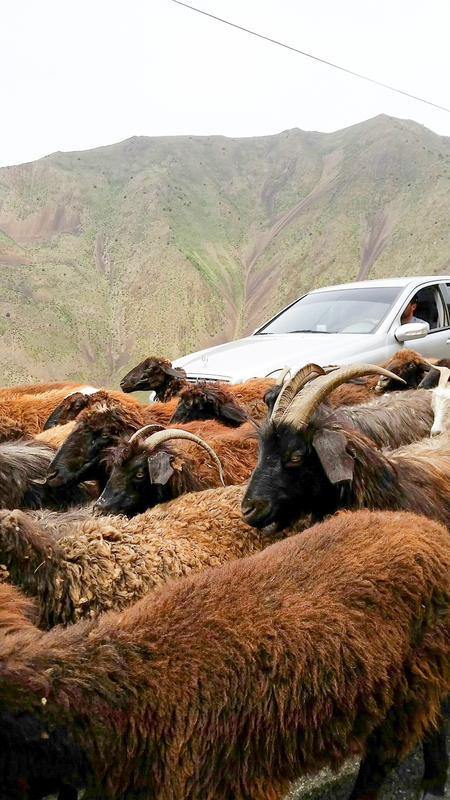 I have never seen so many sheep and goats. What a sight! 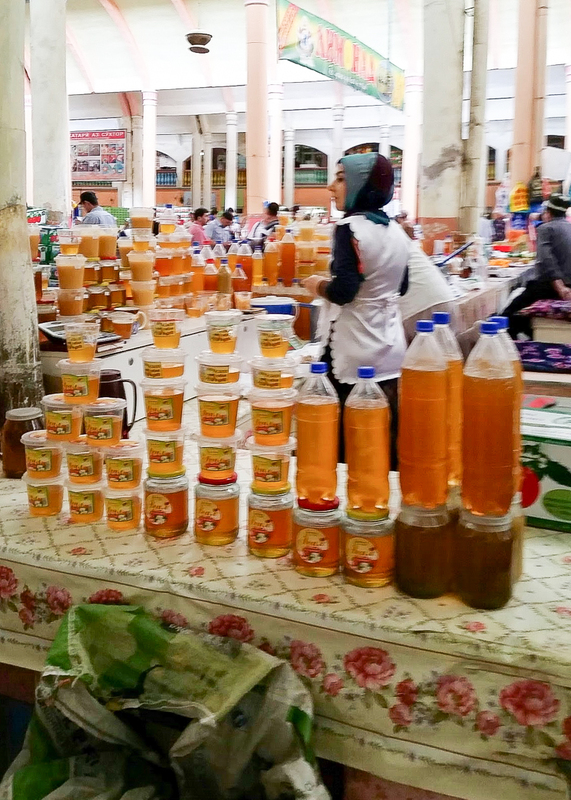 We finally arrived at Istarafshan with a great bazaar with great bread and vegetables and fruit all being sold in a maze of alleys. We walked to a 16th century madrassah and mosque. 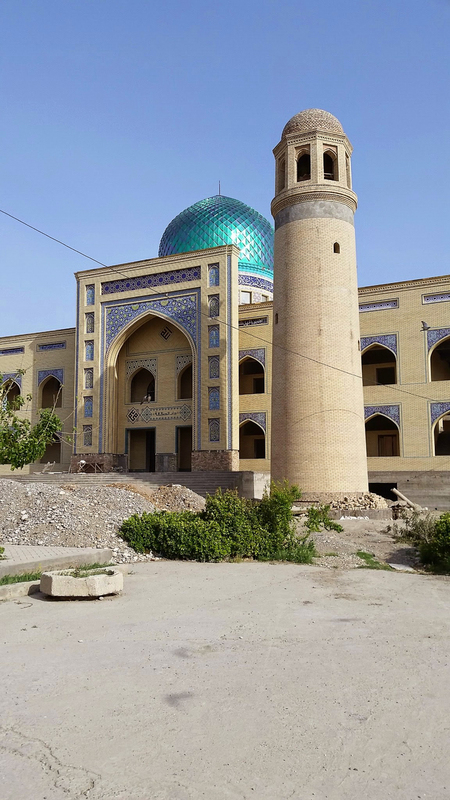 The guide said it is no longer a functioning mosque because the government closed it last year. I asked: Why? It appears that the preaching was becoming extreme like the Wahabism of Saudi Arabia. The goverment feared that this might radicalize moderate Hanafi Muslims so they shut it down. It appears that the government keeps a close watch so this Islamic radicalism not disrupt the peace achieved after a long and intense civil war between radical Muslims and moderate Muslims. I was struck that the government took such an action. 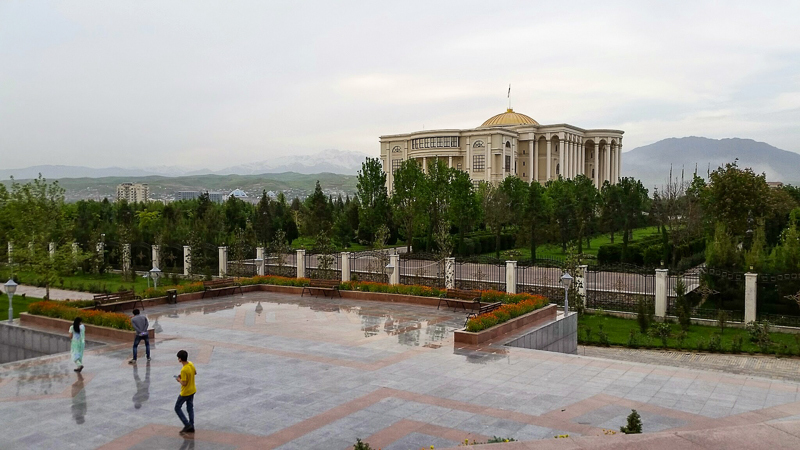 The site of the ancient Sogdian citadel is simply a mound since Alexander stormed it. The entry gate was built in 2002 to celebrate the 2500th anniversary. The horse is in front of some of the ruins of the citadel wall. 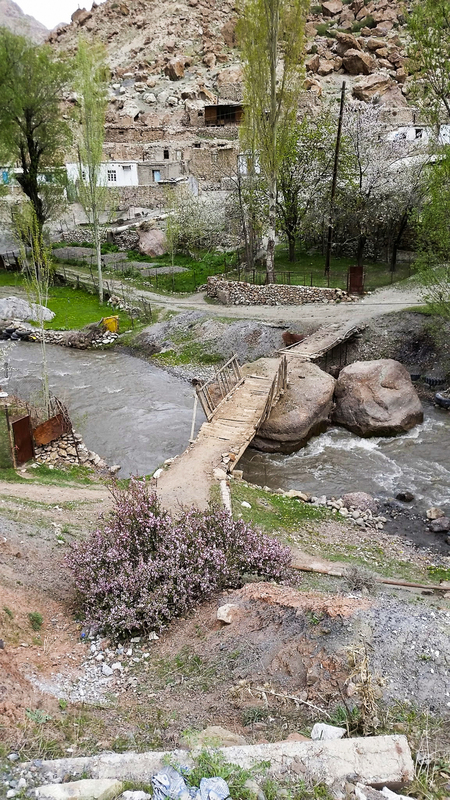 The site is breathtaking in that this was the gate to Fergana Valley. 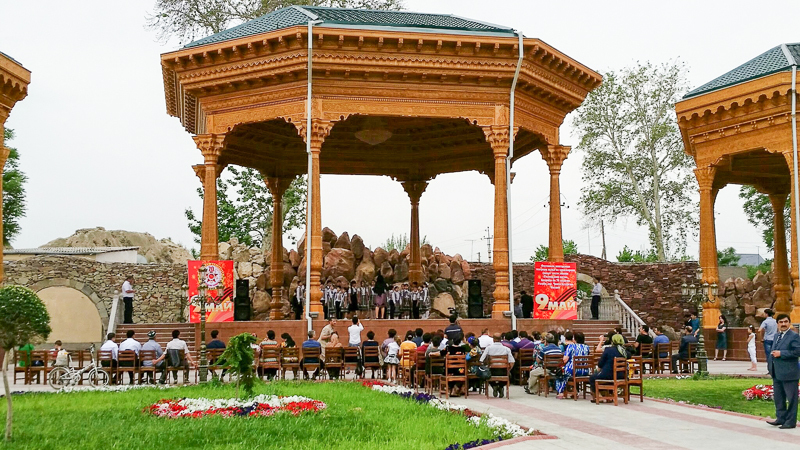 We arrived at Khujand, the former Leninabad in late afternoon. 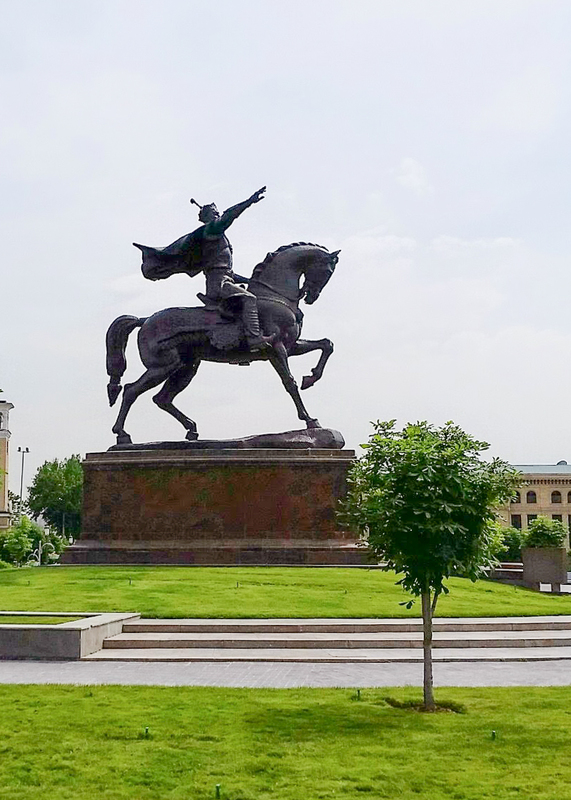 This ancient city was leveled by Genghis Khan in the 13th century. The walk through the new park was an unexpected surprise. 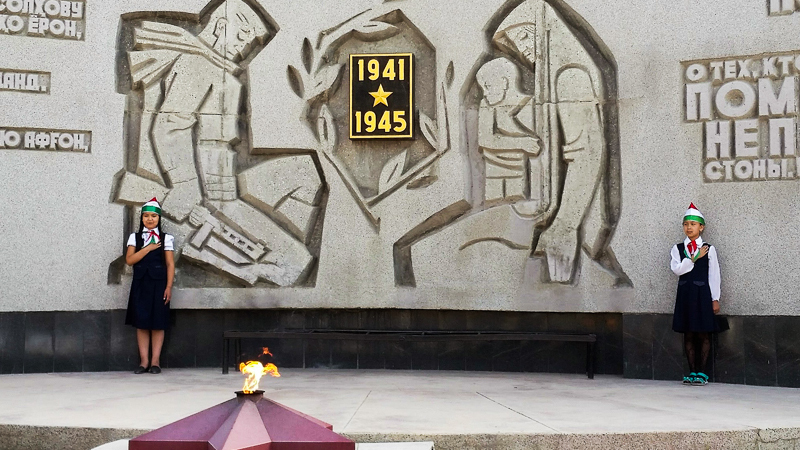 There are statues and monuments to their historical memory that was suppressed for 70 years under the Soviets. My guide said they are learning about that past of great poets and scientists and philosophers such as Avicenna in whom they can take great pride in the Islamic contribution to humanity. That desire to recover an honest understanding of their unique contribution to humanity affected me deeply. The children were performing traditional song and dance and so eager to interact with the American. When you are asked: where you come from? And I respond: America, they all smile and are so happy to welcome me. I feel so safe in the streets here and I find the people exceptionally respectful of the stranger and so willing to share with you from the little they have. I pray their economy continues to develop in the face of the many challenges they face and they become a strong country that can sustain the well being of their citizens. 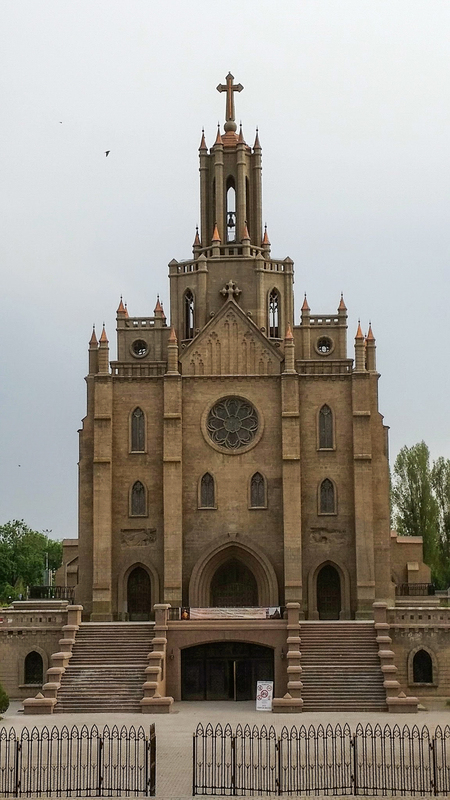 This entry was posted in Silk Road, Travel and tagged Fergana Valley, Silk Road, Tajikistan on May 10, 2015 by frjfkauffmann. 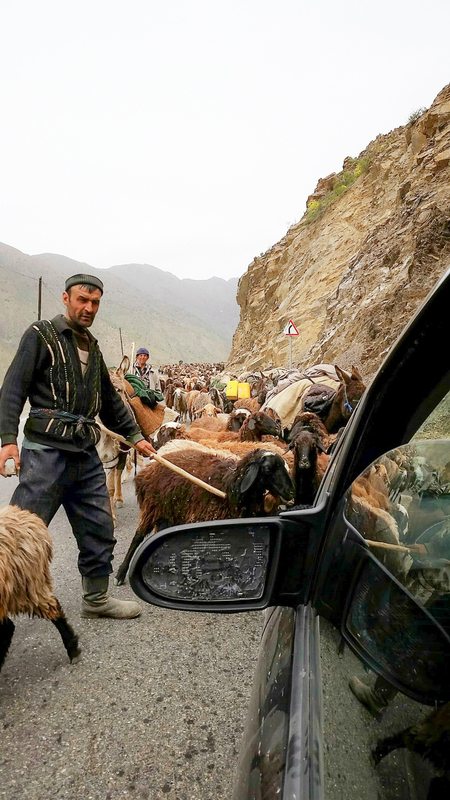 This morning I begin my 2 hour drive to the border crossing from Uzbekistan to Tajikistan. 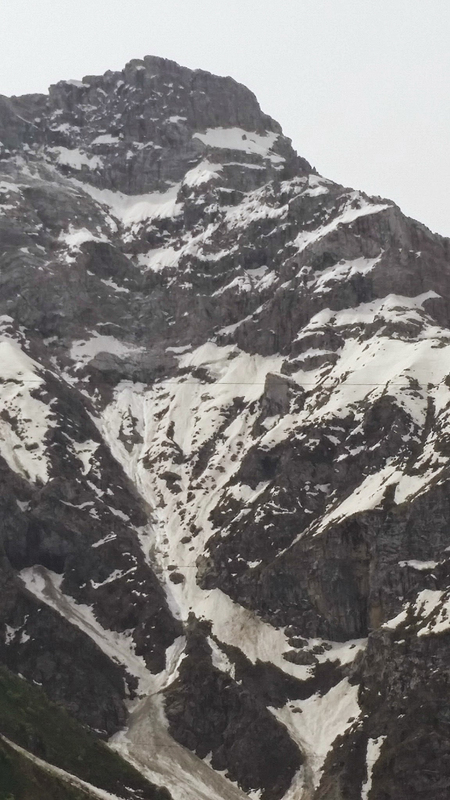 As we approached the border the snow covered mountains of Tajikistan began to loom on the horizon. 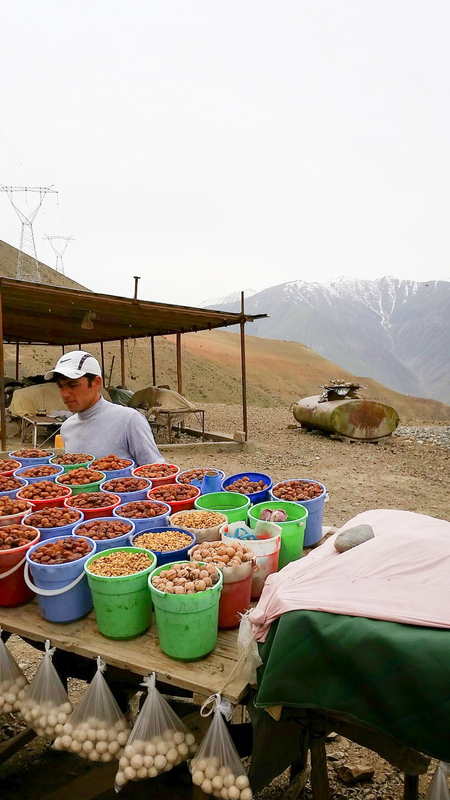 I looked to the north and began to anticipate my journey to Fergana valley where horses were bred which the Chinese purchased in great quantity for military purposes during the days of the silk road. The border crossing was lengthy. Almost half of the national budget is expended to secure the Afghan border. Even though they seize almost 90% of the drugs coming in from Afghanistan, my guidebook estimates between 100 to 200 tons of heroin passes from Afghanistan. 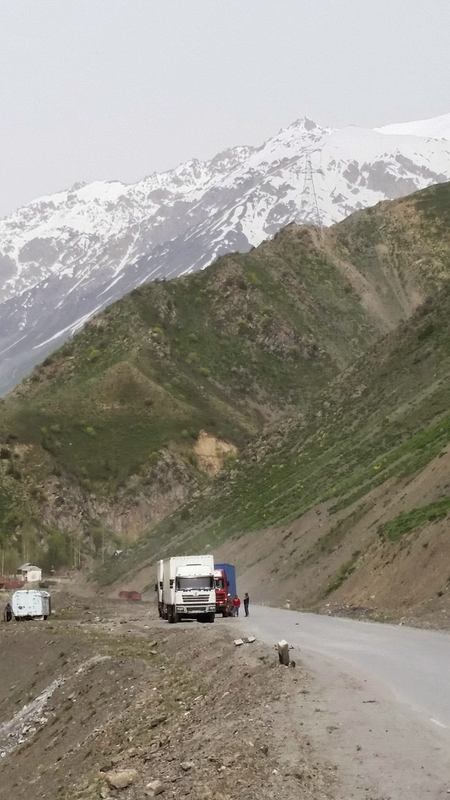 Through Tajikistan so this 1300 km border is very porous with Afghanistan who is the world’s largest producer of opium. This is the opium highway. 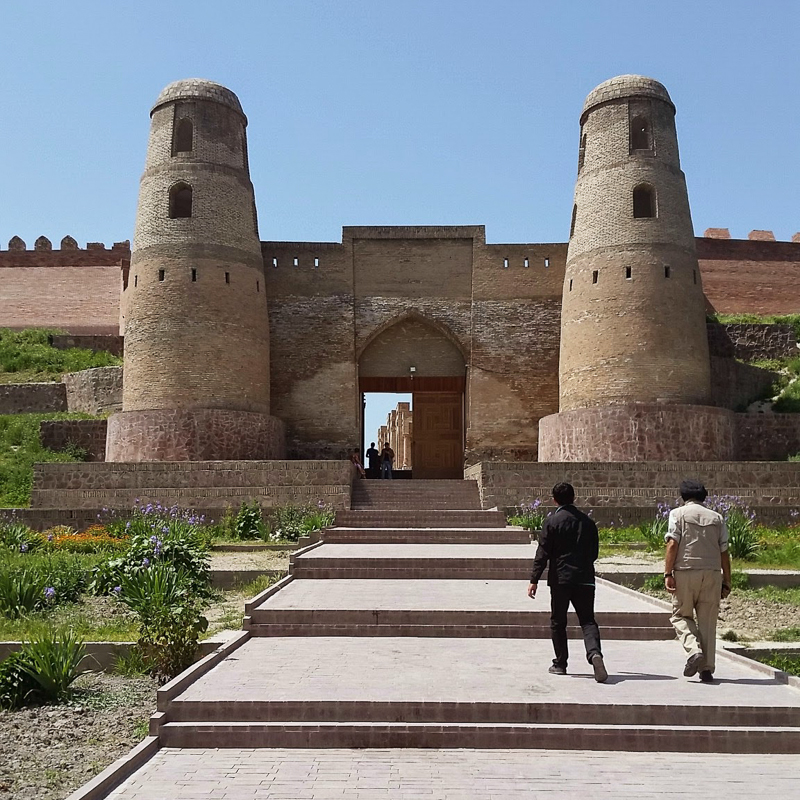 Our first stop was Hissar where there are the remains of an 18th century fortress. In front of the gate to the fortress is the madrassa and the ruins of the caravanserai. 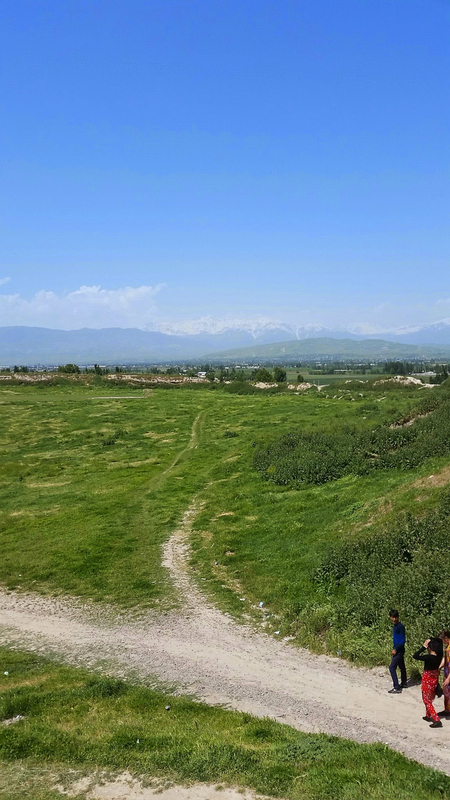 The large area in between was where the horses brought from Fergana alley were traded then taken on to China by way of the Pamir route leading on to China. The view from the ruins of the fortress offered great views of the Hissar Mountains. 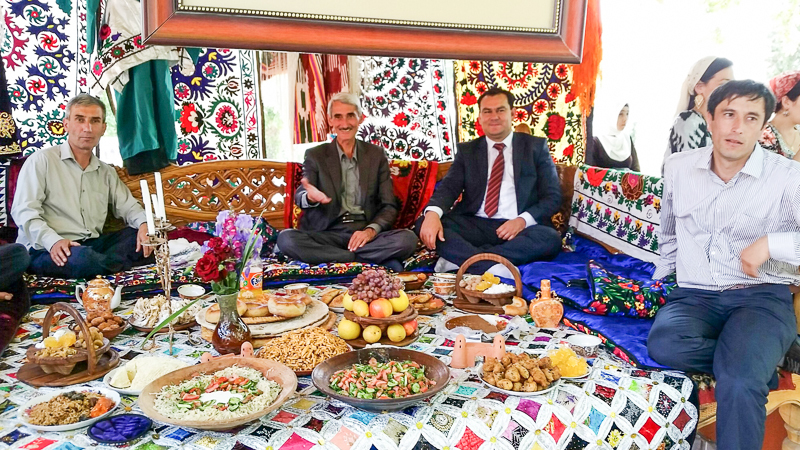 When I arrived I was able to spend time at a local festival where I was welcomed and invited to share local foods. Everyone was so excited that I was from America. I felt like a celebrity! People wanted pictures taken. 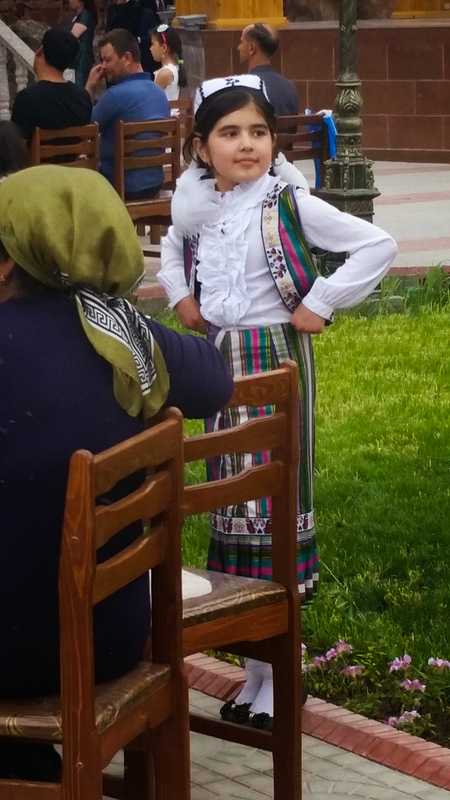 There was music and dancing and eating and laughter and a great sense of welcome. 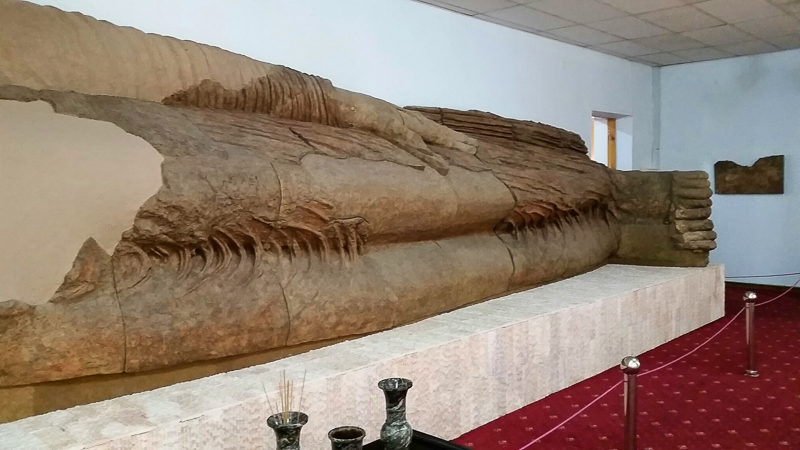 I proceeded on to the capital Dushanbe and to the museum to view the reclining 8th century Buddha which was excavated at Ajina Teppe. 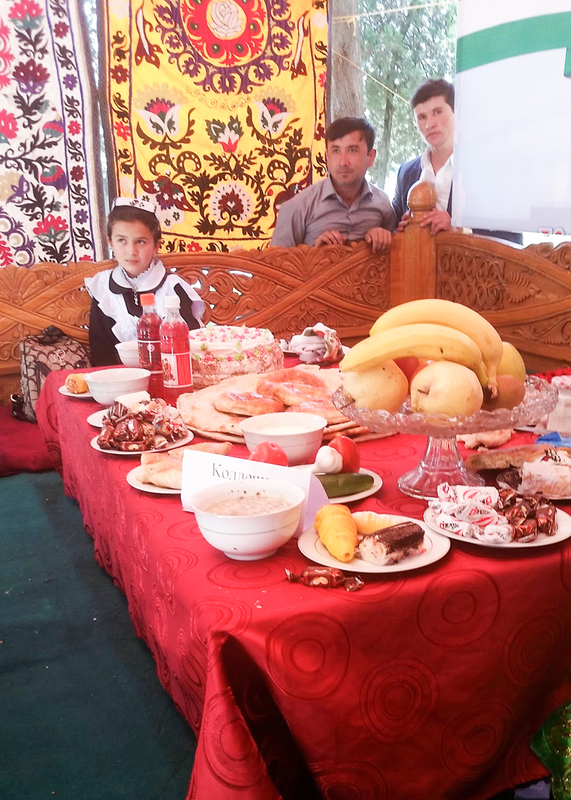 Dushanbe was a total surprise. It is set in a valley so you have beautiful views of snowcapped mountains. 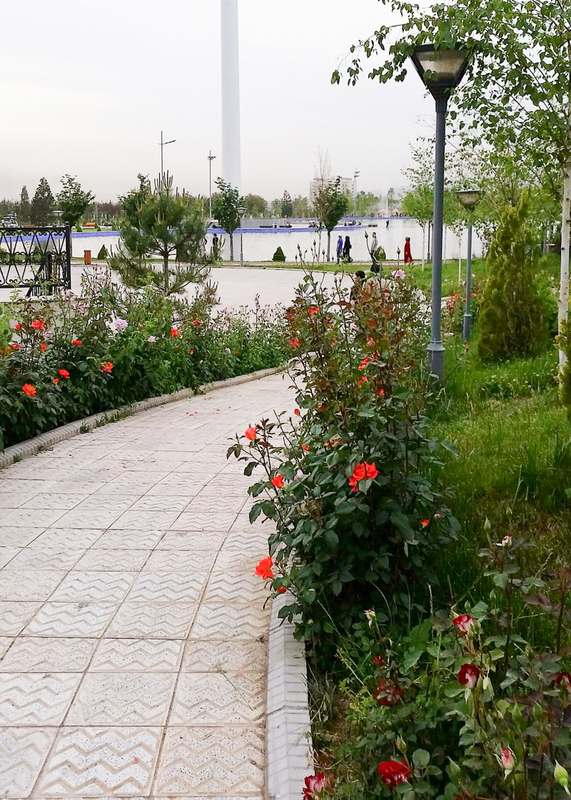 The city is crisscrossed with tree lined streets edged with beautiful roses. Less than a decade ago this city was dangerous however today it is safe and pleasant with streets filled with smiling people enjoying their families. 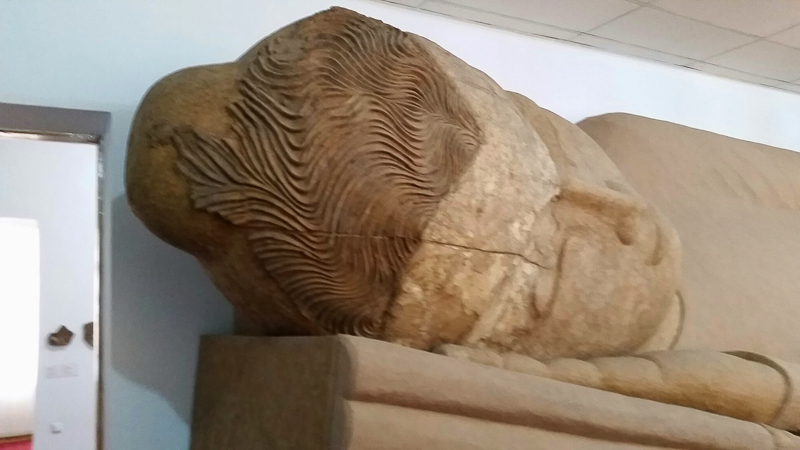 The statue is Ismail Samanu who was the 10th century founder of the Samanid dynasty. 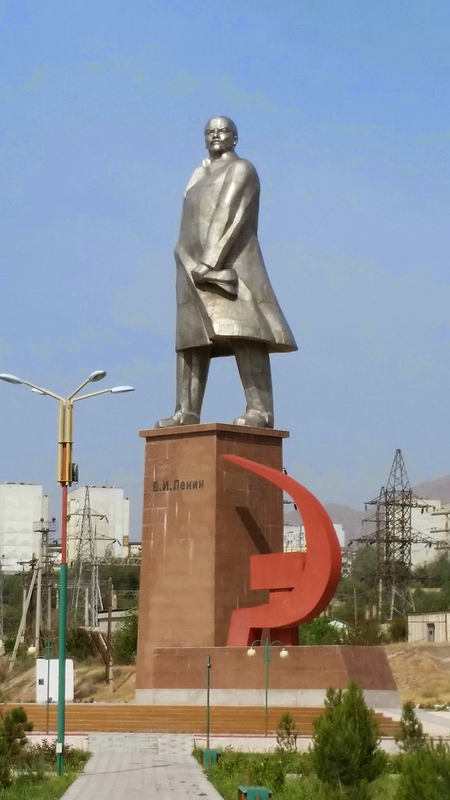 His statue ousted that of Lenin in 1999. From there I walked down what would be like our Mall in Washington. 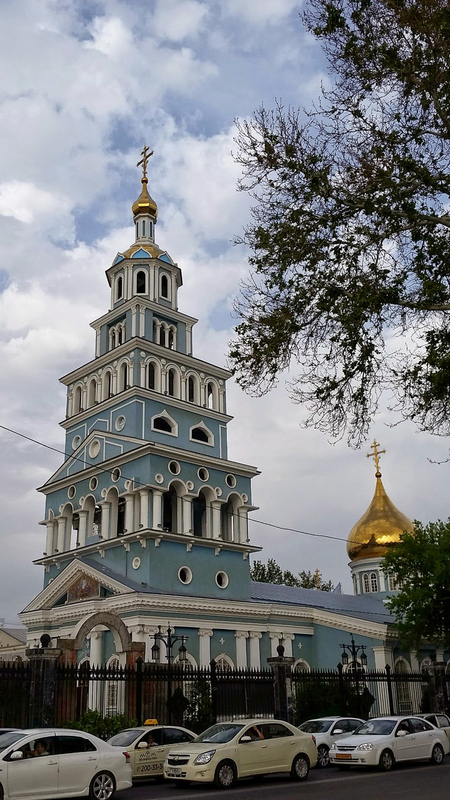 I was stunned by its beauty that replaced where the Russians once had a military compound. As we toured I learned a lot from my guide. After the Soviets left, there was a civil war for most of the ’90s. The conflict was between two parties: the Wahabi Muslims from Saudi Arabia and the Salafi Muslims who wanted an Islamic republic like Saudi Arabia, Iran and Afghanistan and the other party of Hanafi Muslims who wanted a democracy that was not Islamic. 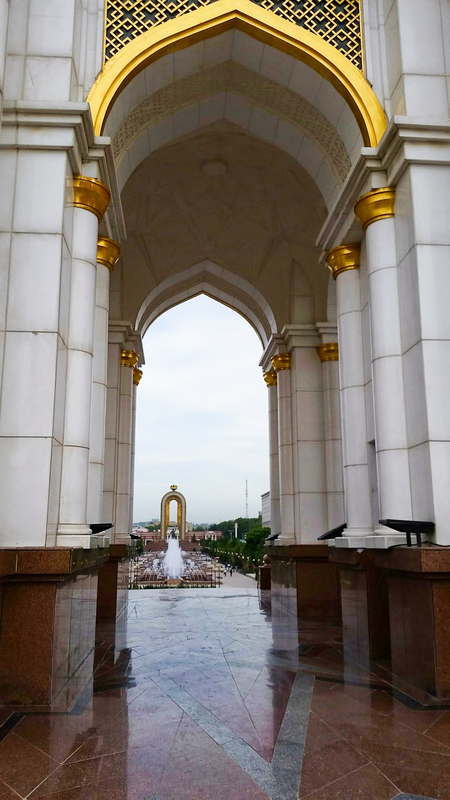 When I visited the mausoleum of another Sufi holy man, I had a conversation with an imam who said those Wahabi Muslims from Saudi and the Salafi Muslims are dangerous. 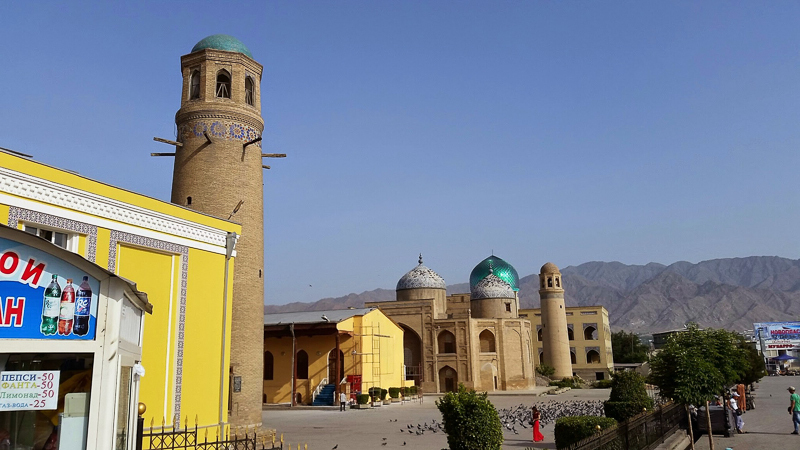 The Muslims do not want those other Muslims coming in and radicalizing because they do not envision themselves like Afghanistan or Saudi Arabia which are Islamic republics. My guide said that the average person earns 100 a month. 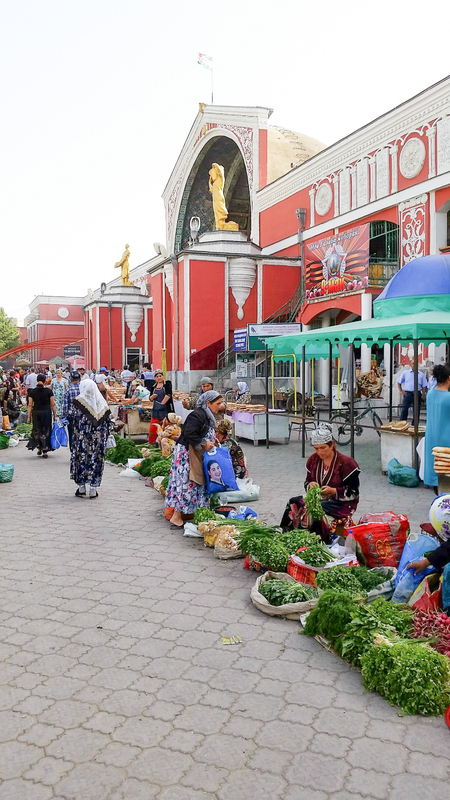 About a million people work in Russia to make money to send home and in fact my guidebook says Tajiks send back about 800 million a year from their work in Russia and this amounts to almost half of their GDP. And he said the sanctions imposed on Russia are having an adverse effect on their economic well being however the Chinese are moving in with industrial development. Although things seem so fragile, with fears of Islamic extremism from Afghanistan, and the fact that this country is one of the world’s major drug corridors and the increasing economic challenges that lie ahead, this evening I got the feeling from listening to my guide Sorak there is a sense of hope because they are at peace. 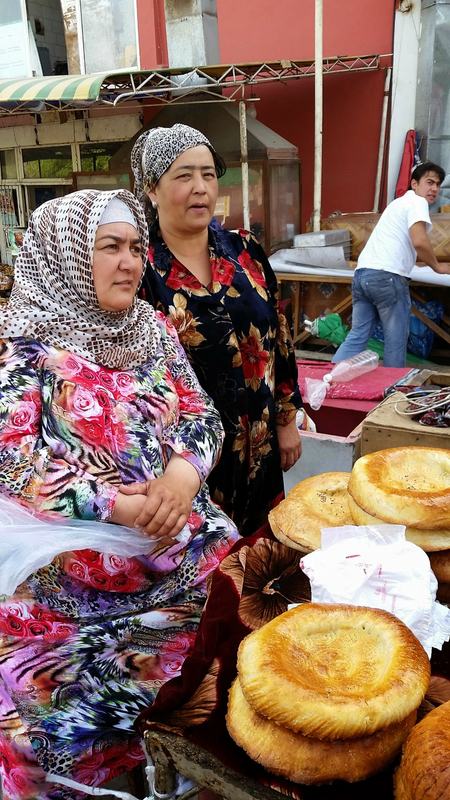 This entry was posted in Silk Road, Travel and tagged Afghanistan, Silk Road, Tajikistan on May 9, 2015 by frjfkauffmann.